TheSignChef.com helps businesses be brand fresh with indoor and outdoor signage, vehicle lettering, vinyl banners, custom decals and more. TheSignChef.com uses vetted, cutting-edge technology to produce signage made of high-quality materials. Our processes are tried and true, ensuring the utmost excellence. We are truly honored to work one-on-one with so many organizations in support of their signage needs. 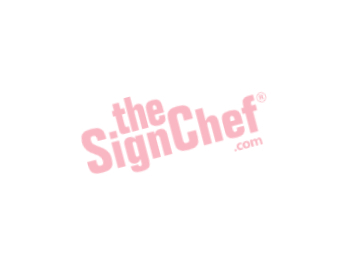 Corporations, small businesses, industries, non-profits, hotel chains, colleges and universities, restaurants...all trust TheSignChef.com to enhance their brands and conveys their messages.